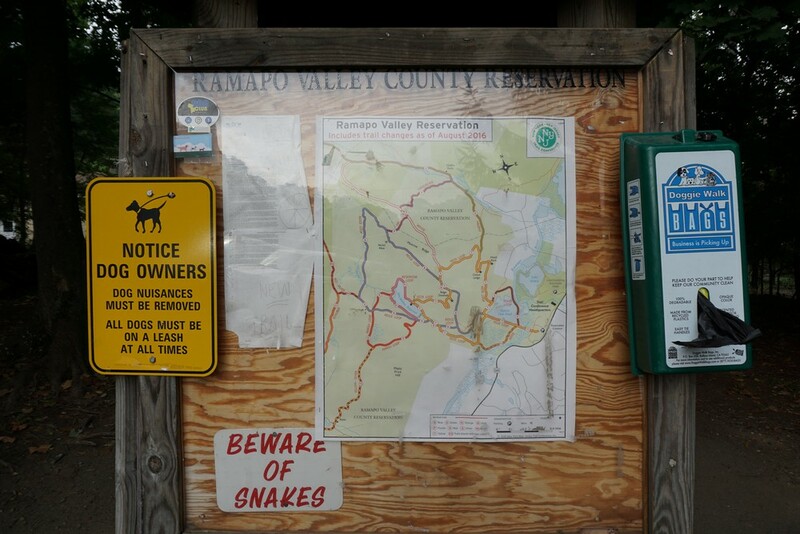 My office is located near Ramapo Valley Reservation, and I had gone on a short walk there during lunch, and was surprised to see the kiosk at the trail entrance describing the entire rerouting of the trail system in this park. 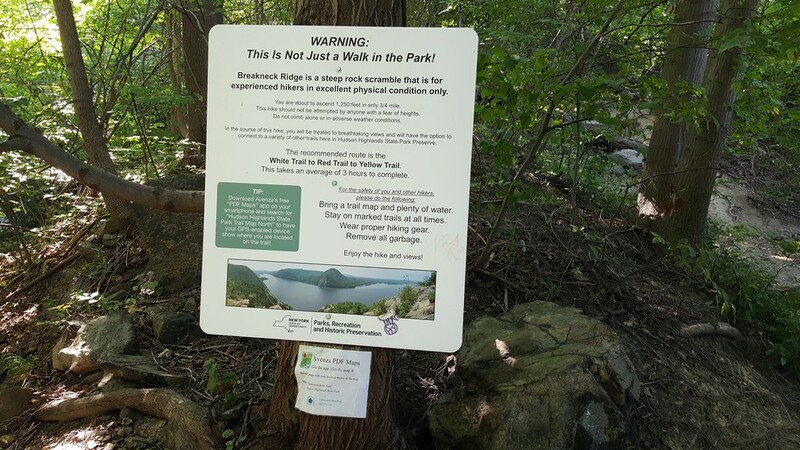 These changes went into effect in August 2016, and overall I am very happy with the changes. 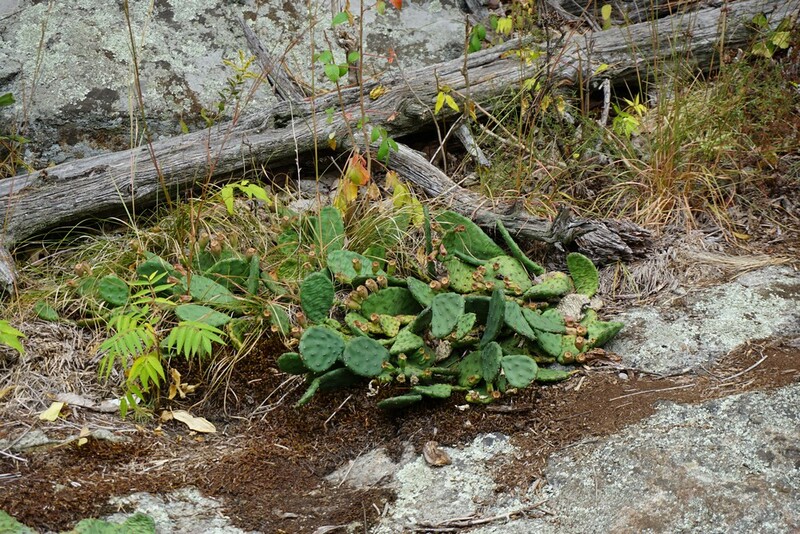 The focus of the changes was to produce a trail that covers the main areas of interest in the area. 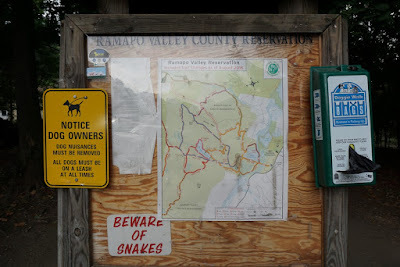 The Vista Trail is the trail that does this. 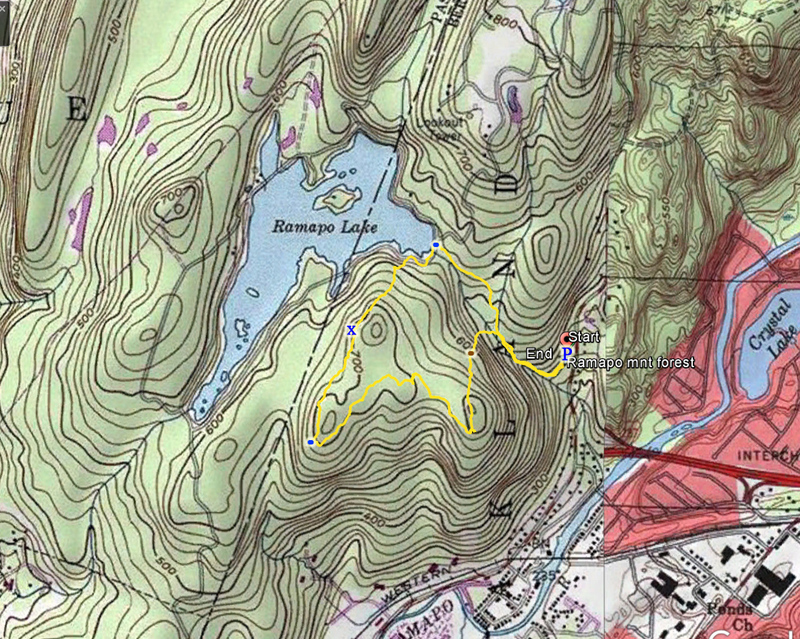 It covers Hawk Rock, Cactus Ledge, Ridge Trail spur view, and Macmillan Reservoir view. 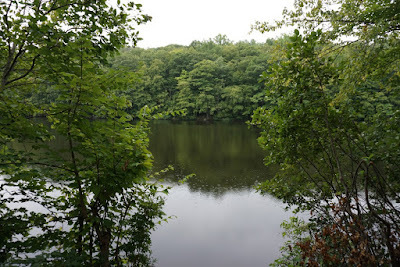 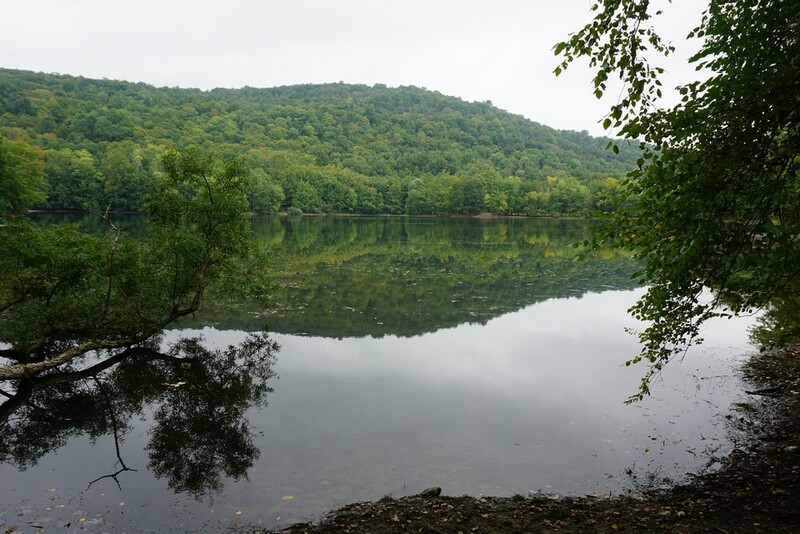 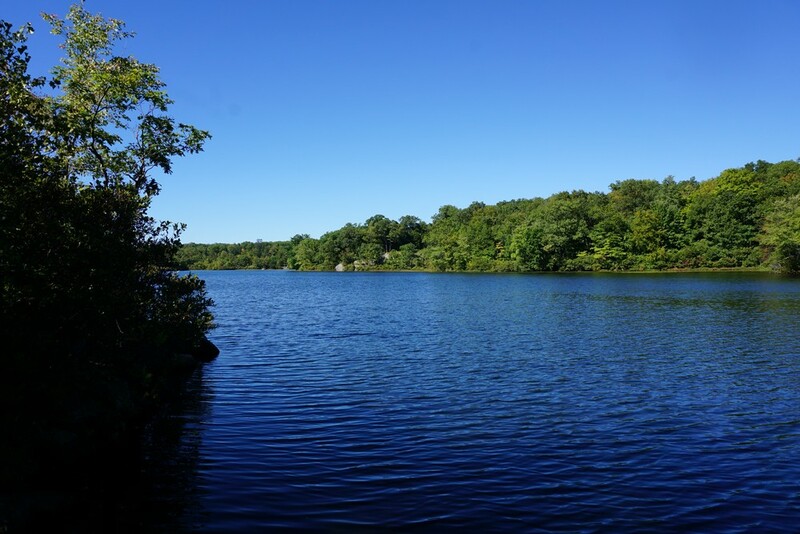 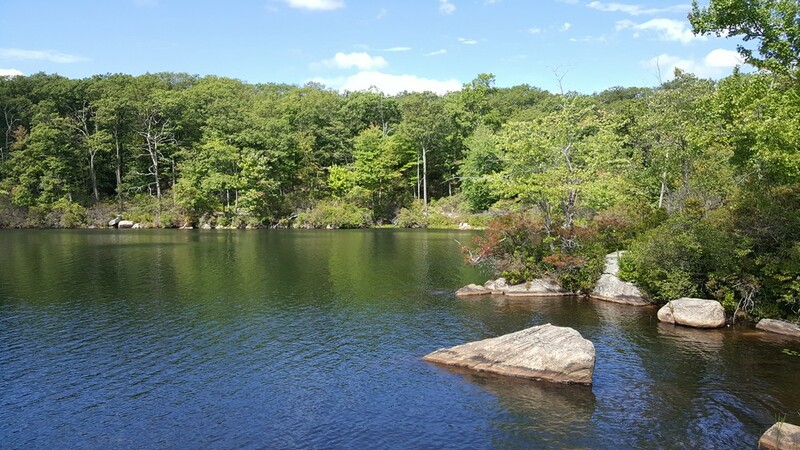 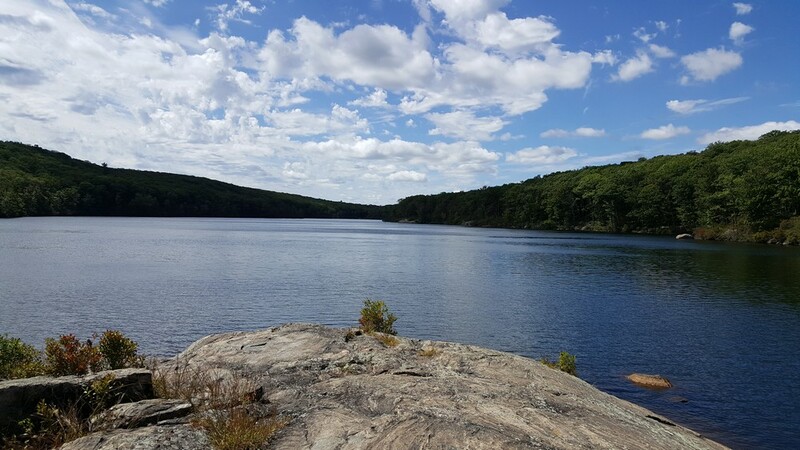 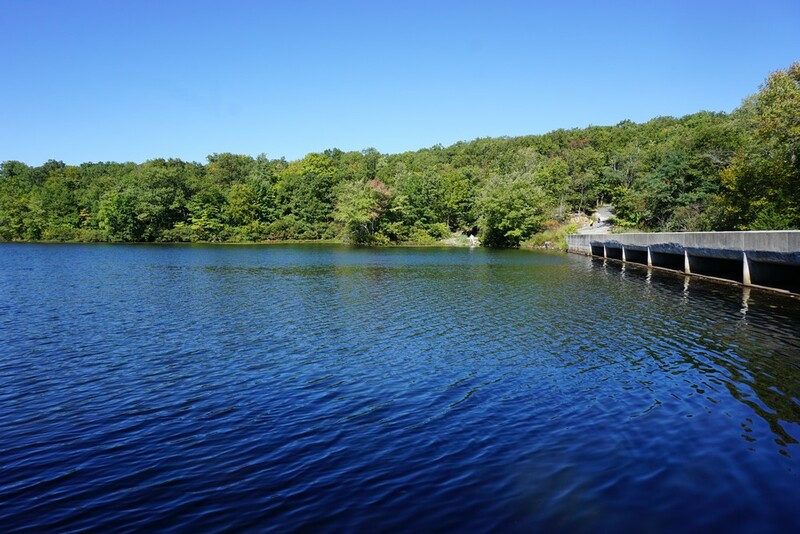 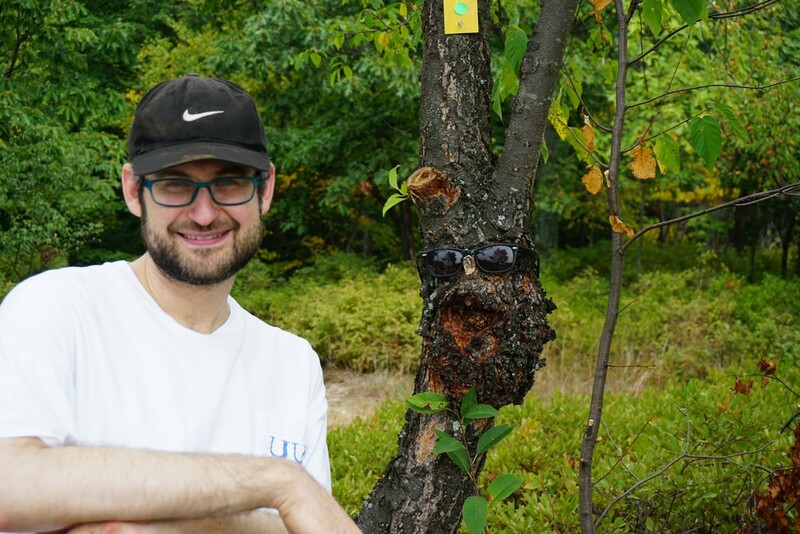 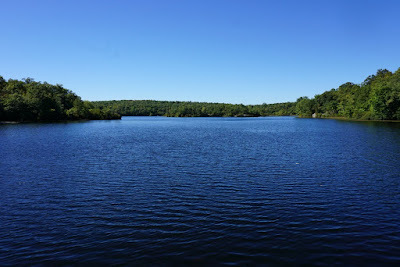 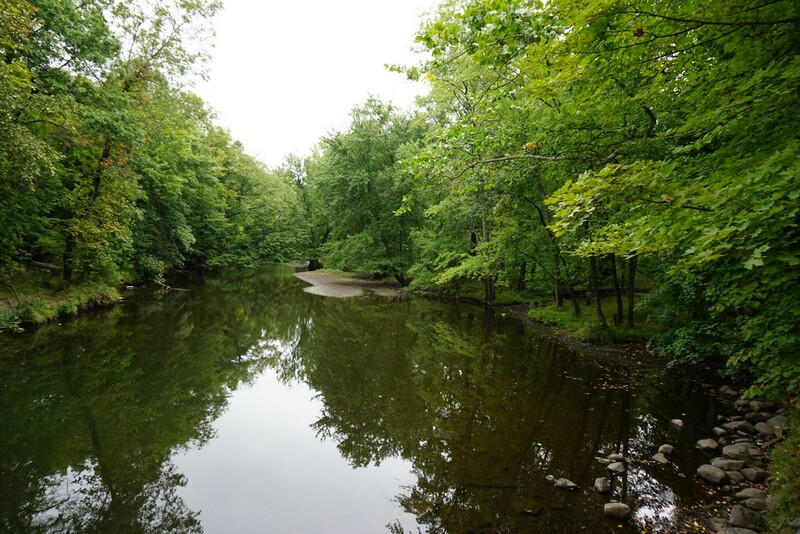 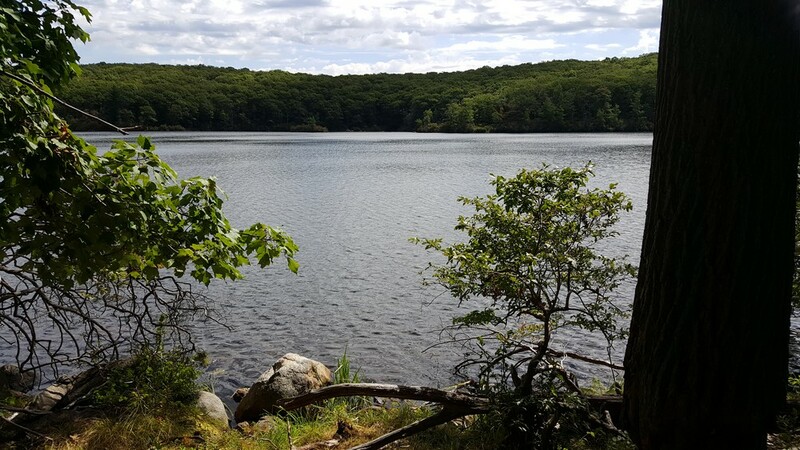 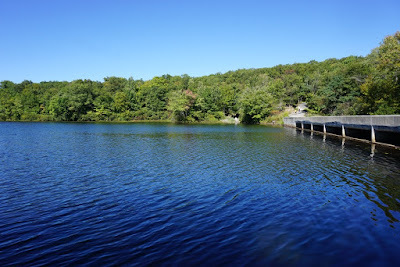 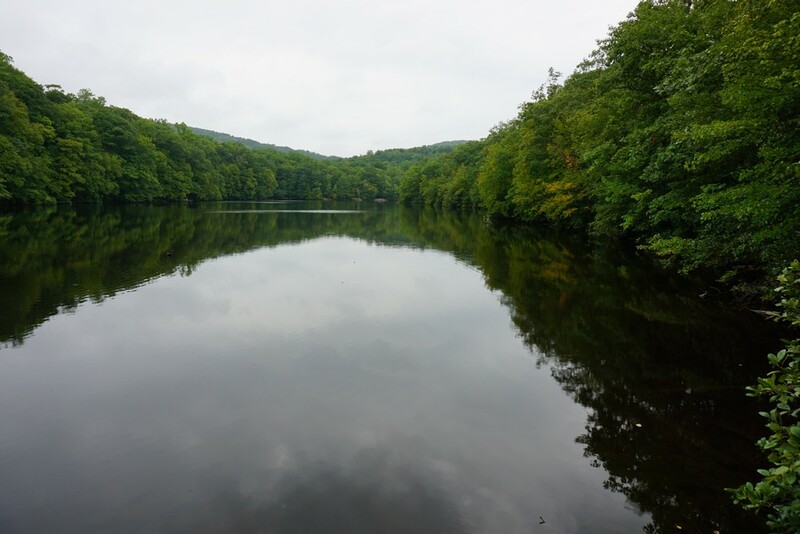 We parked at the large parking lot, and took the trail crossing the Ramapo River and along the side of the Scarlet Oak Reservoir. This trail used to be the Silver Trail - which now routed around the lake. 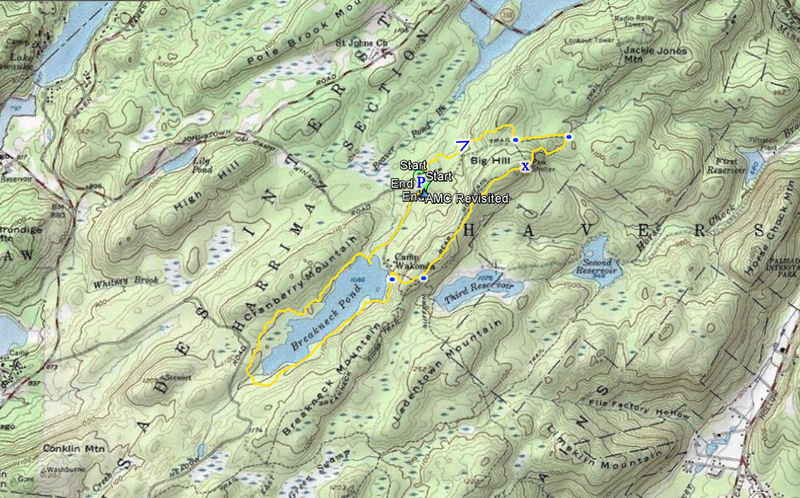 The trail heads north after the lake, and then climbs up the mountain towards Hawk Rock. 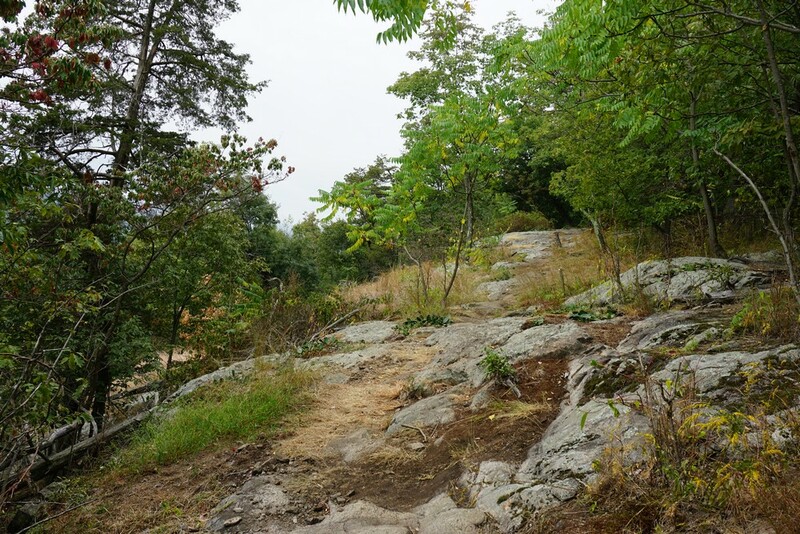 This trail used to be the Halifax Trail, but this is now the Vista Loop Trail. 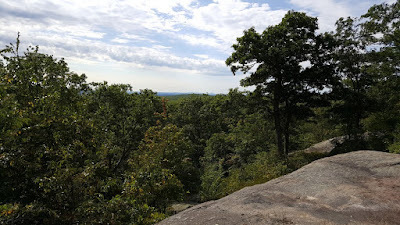 We went Vista Rock, and after that view, the trail now detours in a U towards another rocky view that contains native cactus growing on the outcrops. 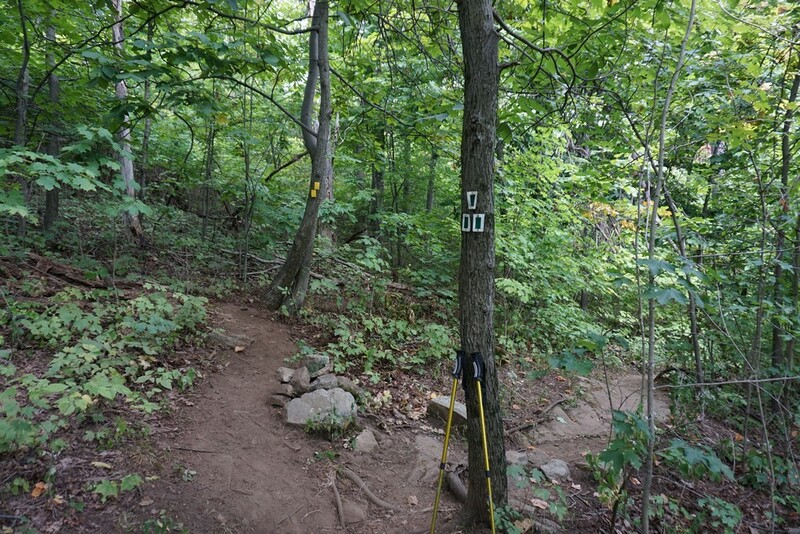 The trail then splits with the Halifax Trail which now starts here instead. 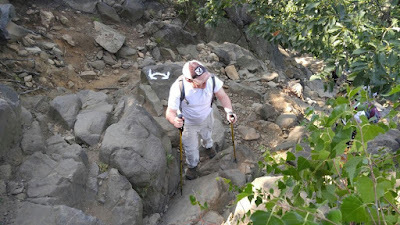 We continued along this newly cleared trail which cuts along the side of the mountain until meeting up with the White Trail. 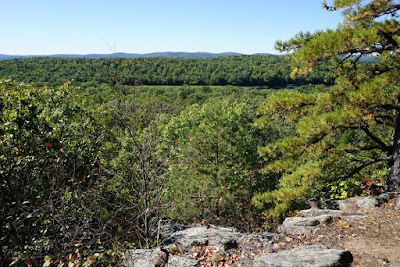 The White Trail now ends at the Vista Loop Trail, and then meets up and concurs with the Ridge Trail (now called the Ridge Loop.) 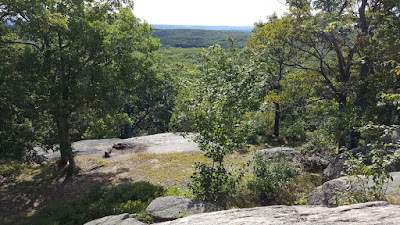 The trail goes up towards the rocky view at this point, although it surprisingly doesn't actually traverse the view, but a slight spur is required. 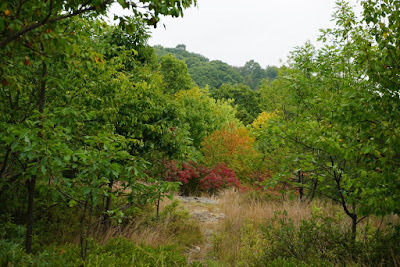 We then continued along this newly formed trail along the ridge and then heading down towards the MacMillan Reservoir. 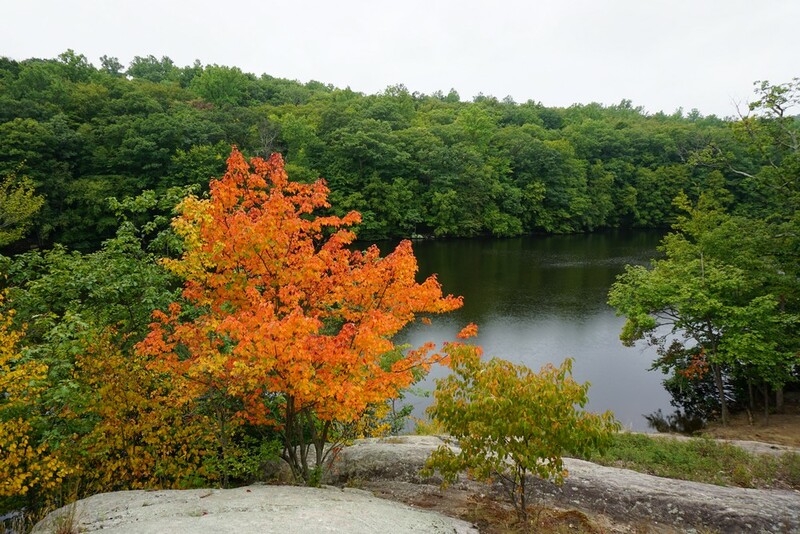 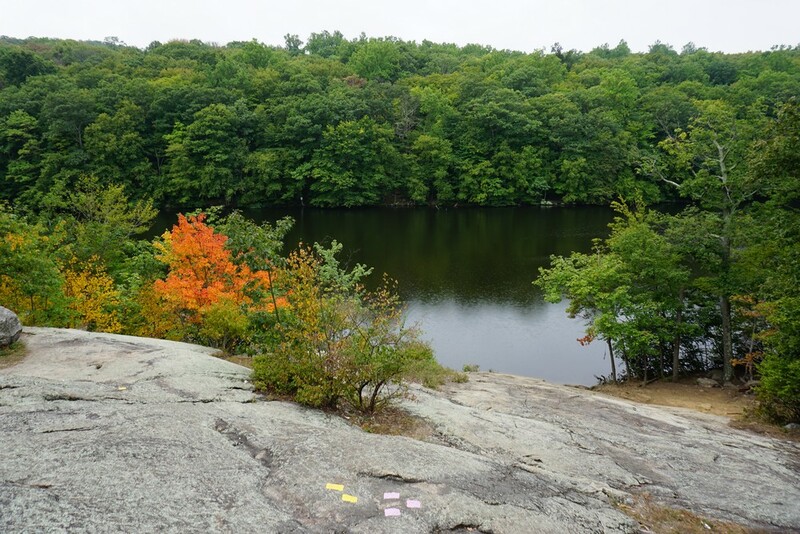 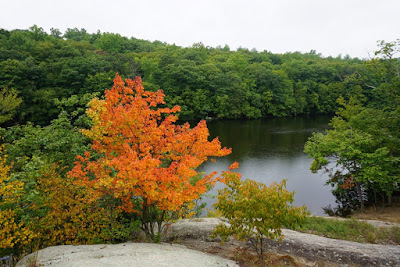 There is a very scenic rock heading down into the lake here, which was highlighted by a beautiful colored tree in orange foliage. 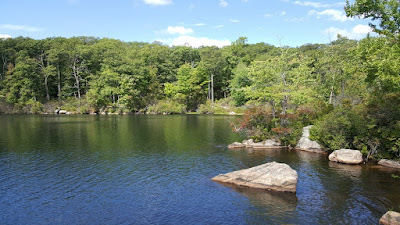 The trail then goes down towards the dam. 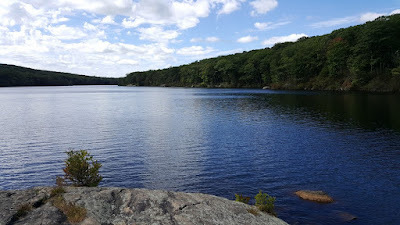 This part of the trail used to be the pink-blazed Reservoir Loop Trail, which now starts where it meets by the large rock. 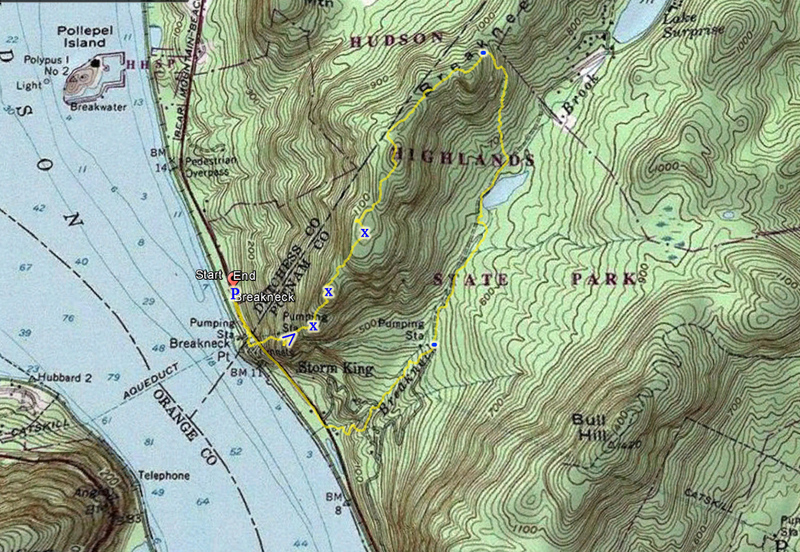 The Vista Loop Trail then meets up with the Schuber Trail, which now ends here, and the the former Silver Trail, now the Ridge Loop. 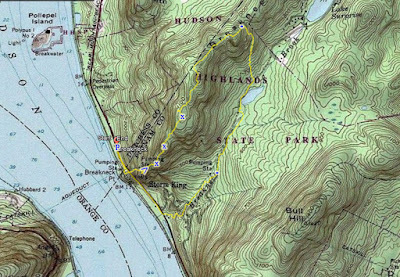 It goes to the south of the reservoir outlet brook along the former Schuber Trail, and then goes down past the waterfall. 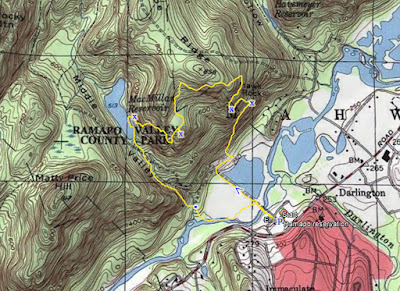 Instead of continuing along the Vista Loop trail back to the top of the reservoir, we took the newly formed River Trail which took over from the Schuber Trail. 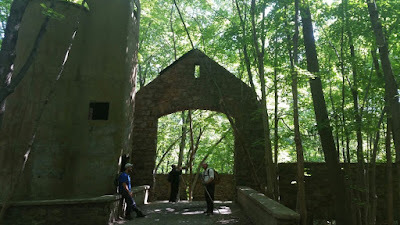 We decided to explore the AMC area a bit more and get some additional information on the cabins and areas. 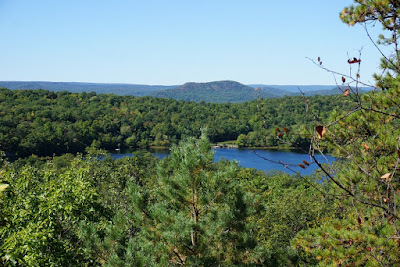 We drove on the narrow road off Lake Welch Parkway that heads to the AMC camping area, and parked in the large parking field near the entrance to the camp. 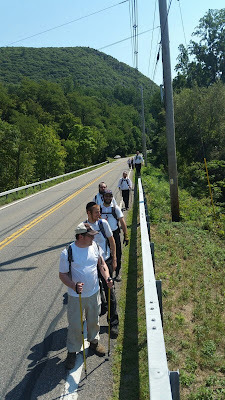 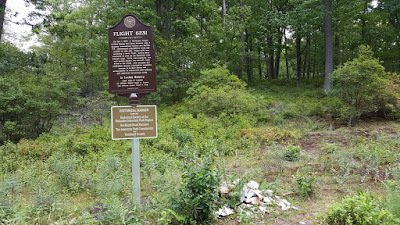 We took the Long Path in a northeasterly direction, passing the Flight 6231 crash site at the beginning of the hike. There is a new plaque here with a brief history of the plan crash that took place in this spot in December 1974, where a Boeing 727 flying from Kennedy airport to Buffalo crashed, killing the three crew members on flight. 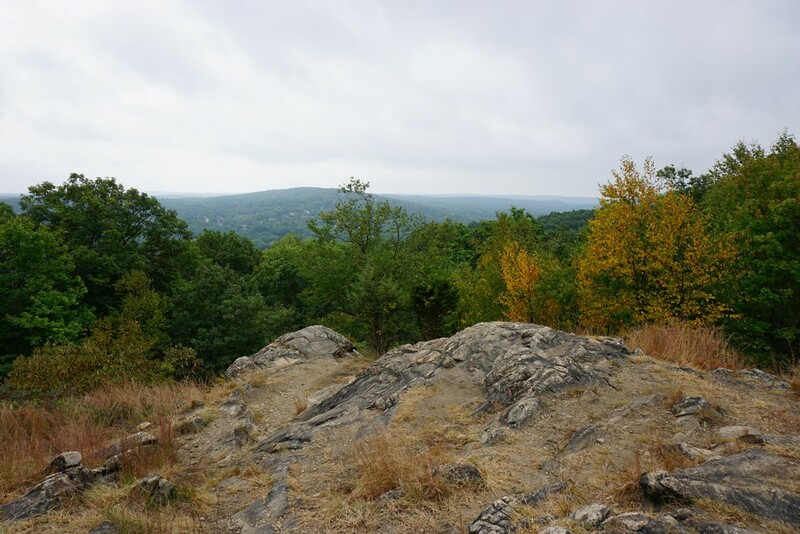 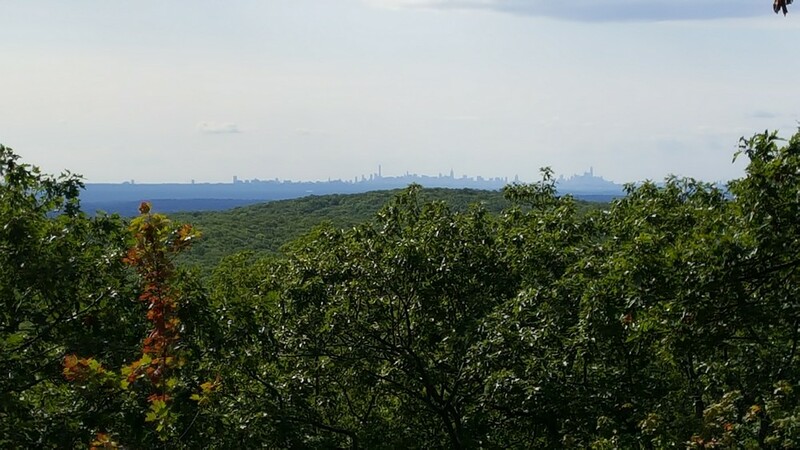 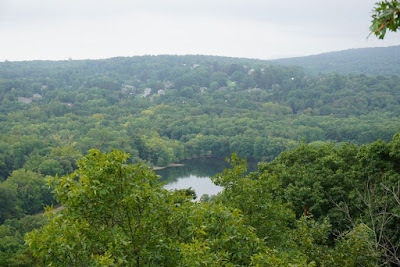 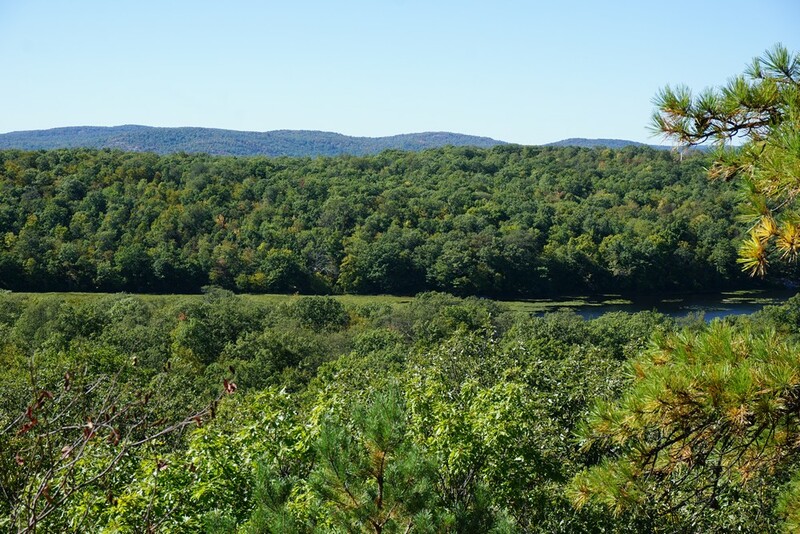 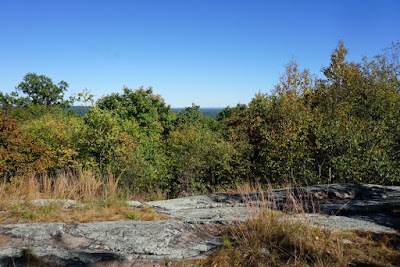 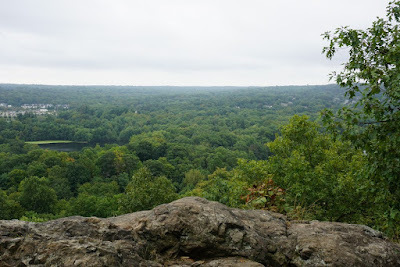 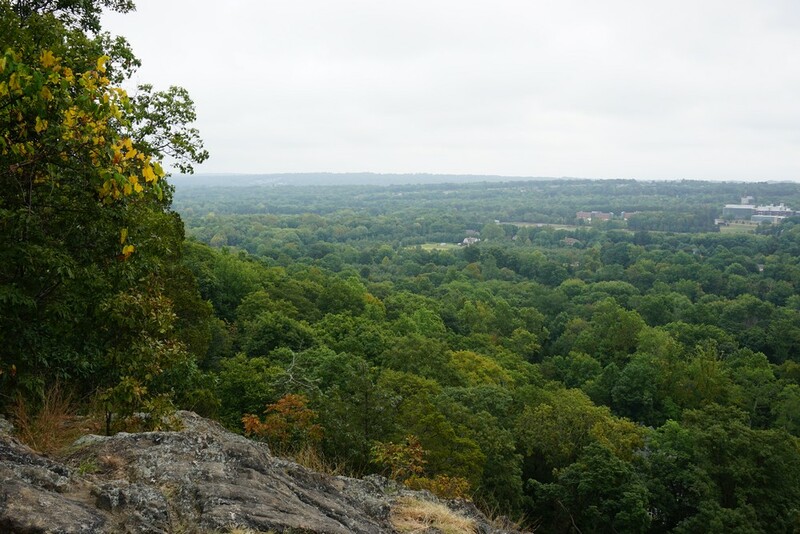 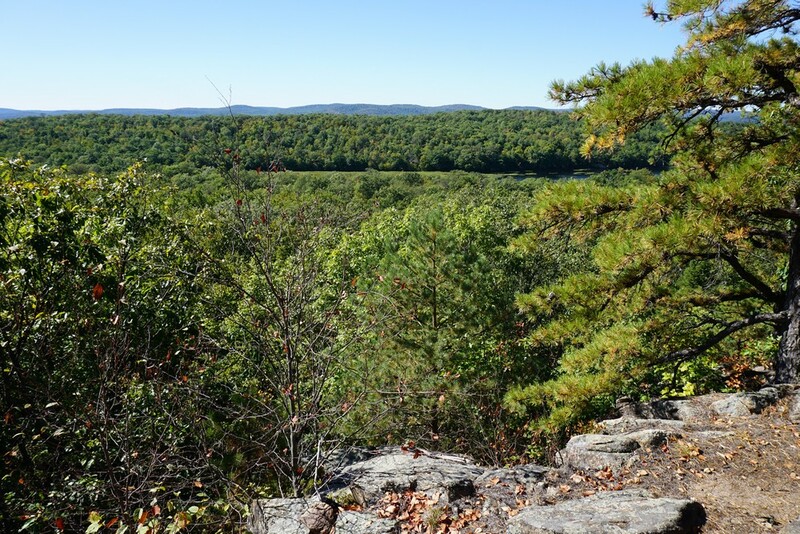 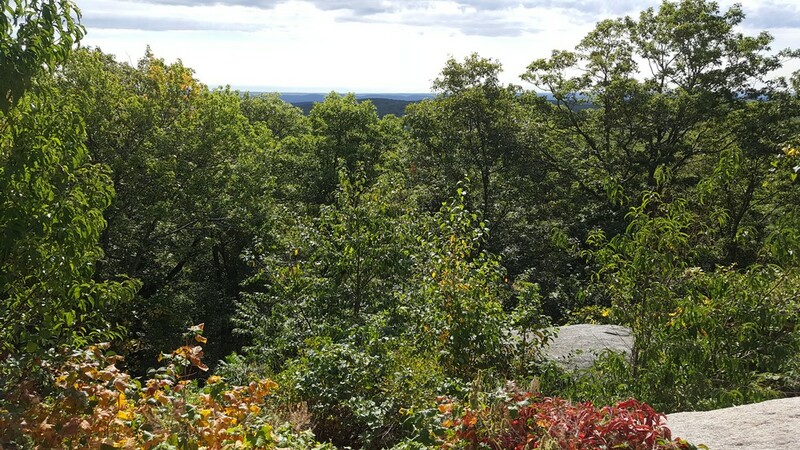 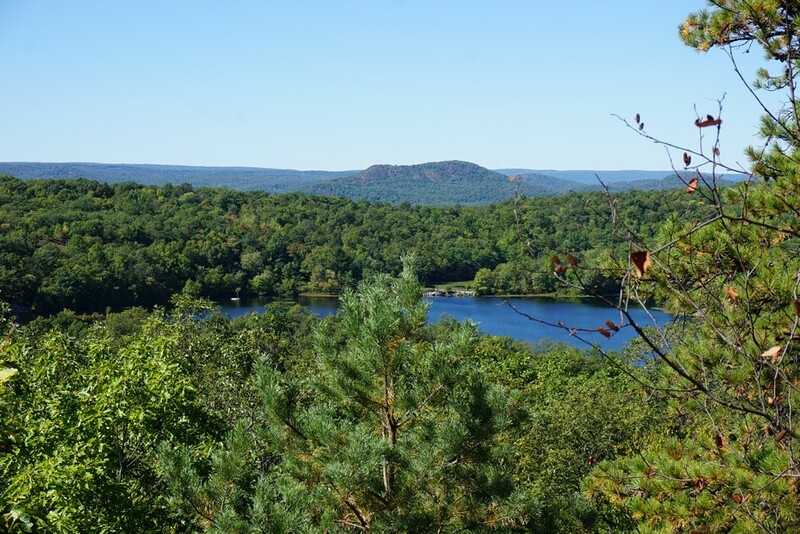 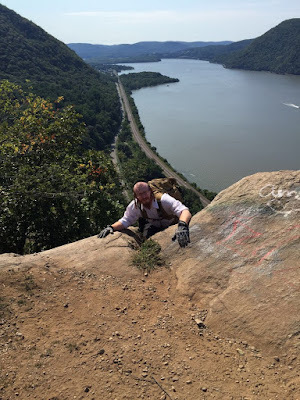 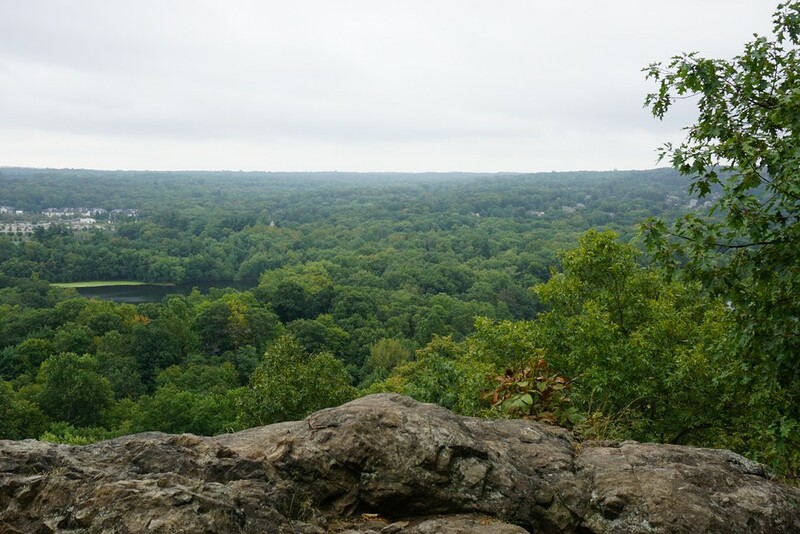 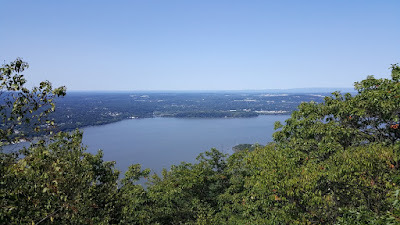 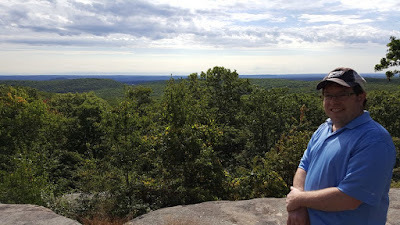 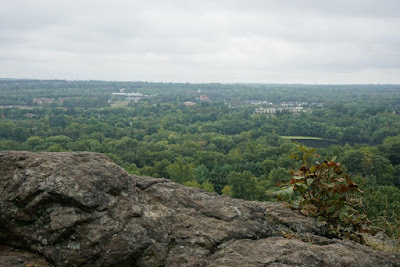 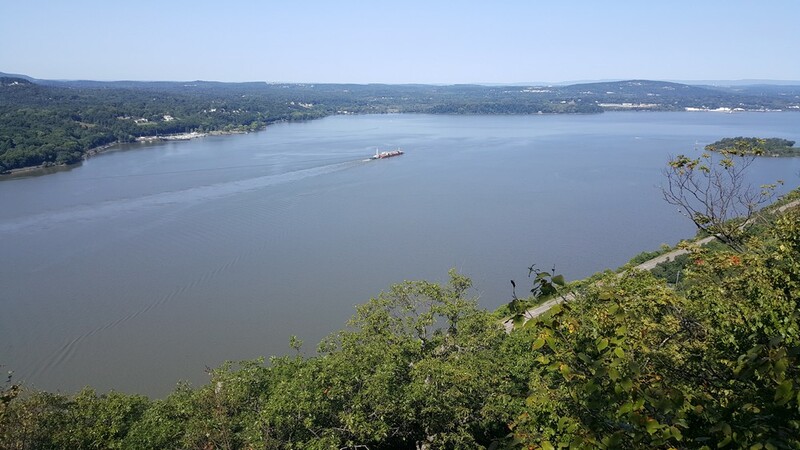 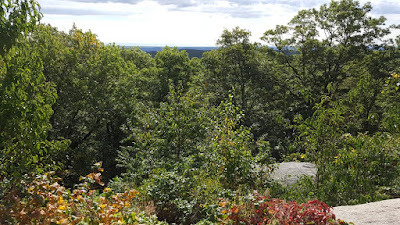 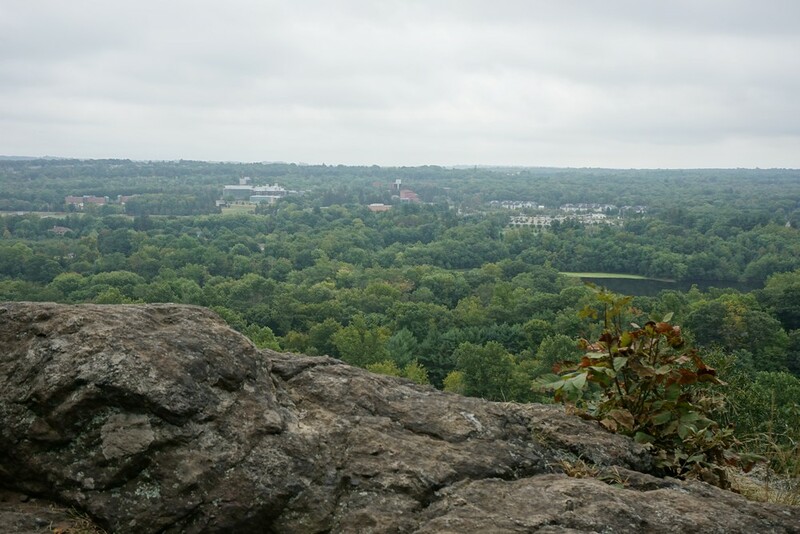 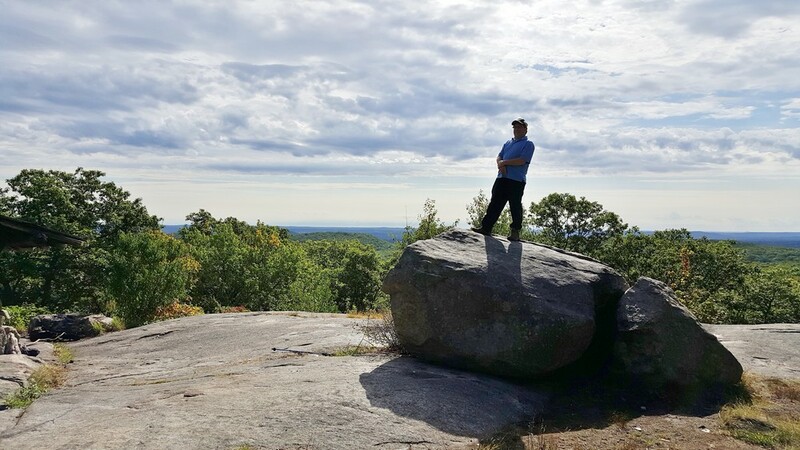 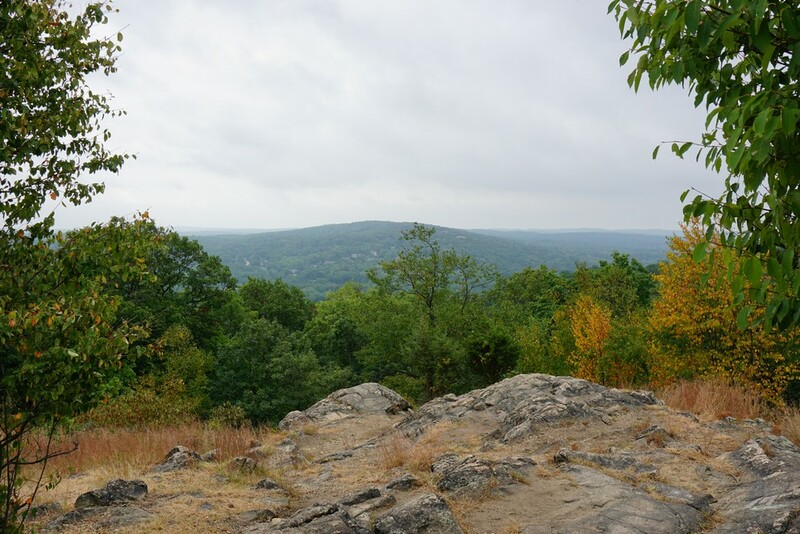 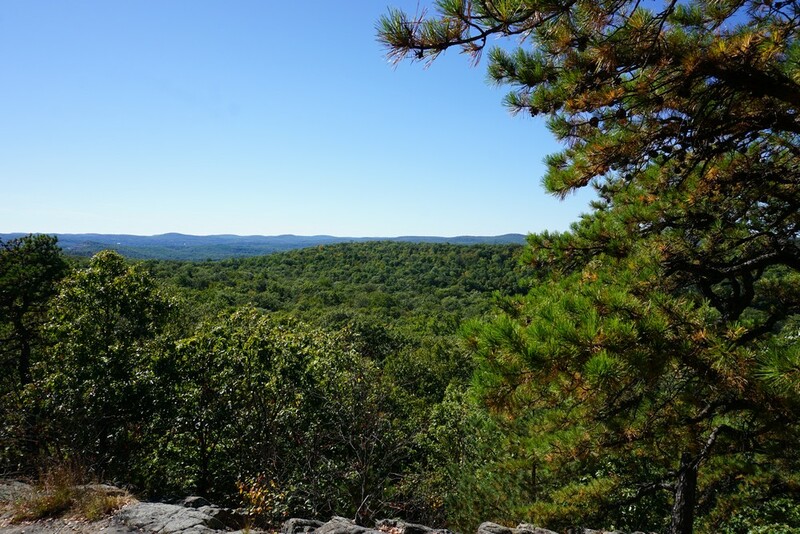 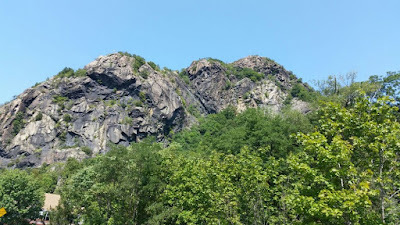 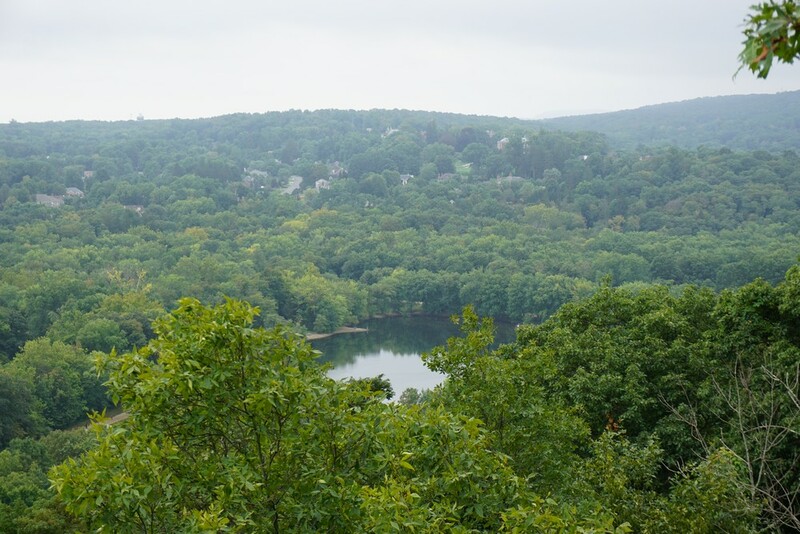 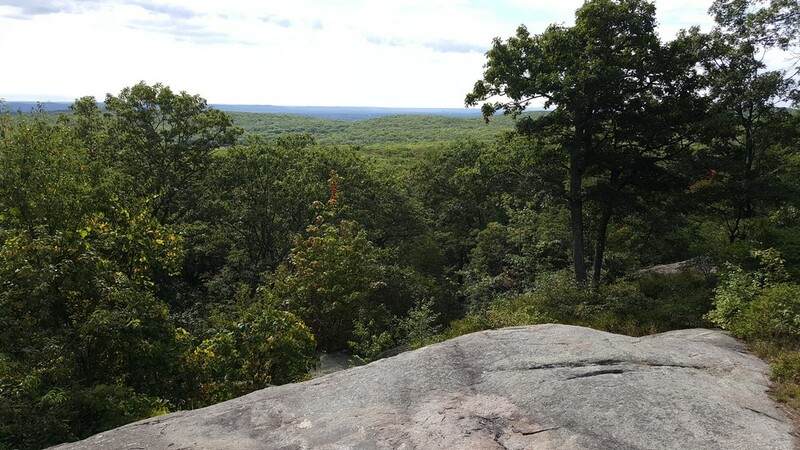 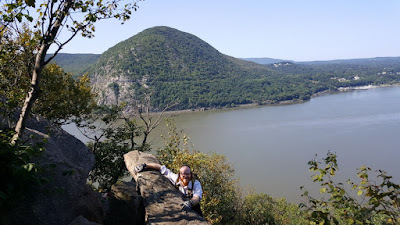 We continued along the Long Path to the Woods Road, and then took that briefly to the Suffern-Bear Mountain Trail, which we climbed up to reach the view at Big Hill. Big Hill features an overnight shelter with a nice view and overall scenic area. 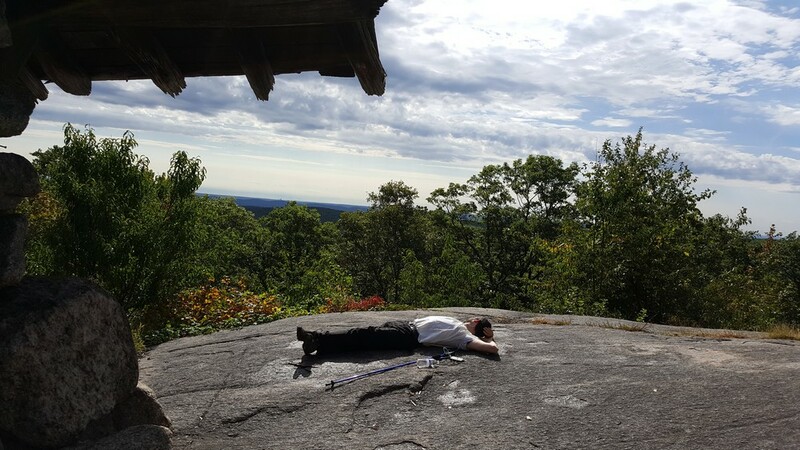 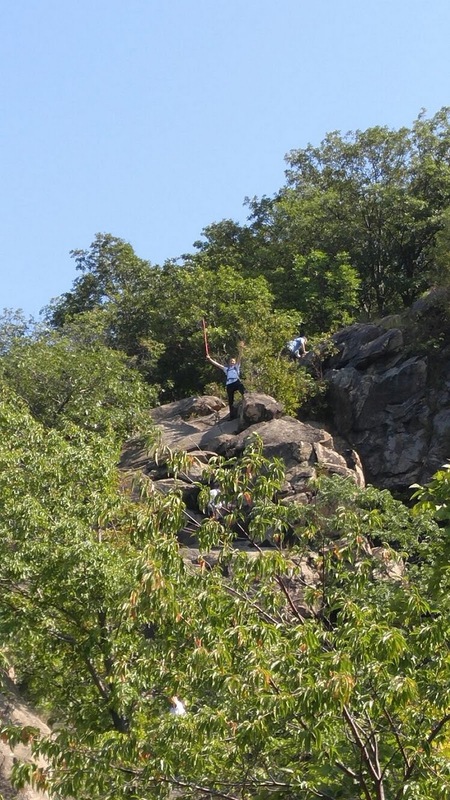 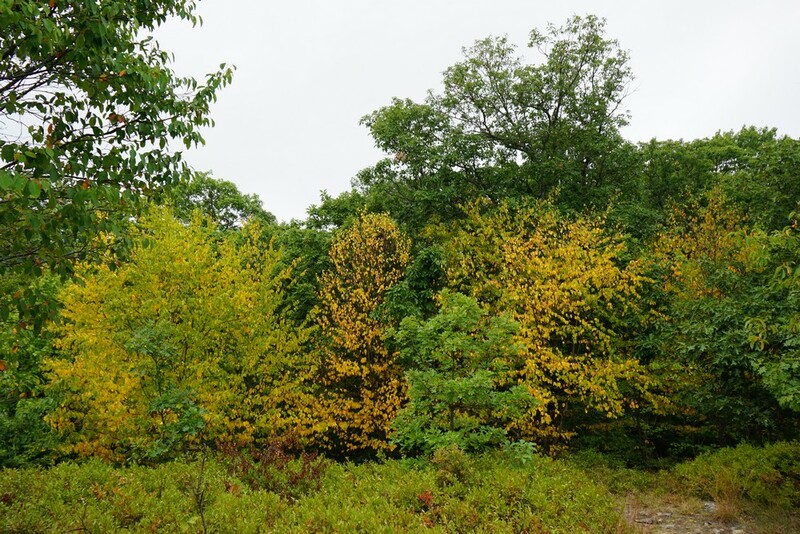 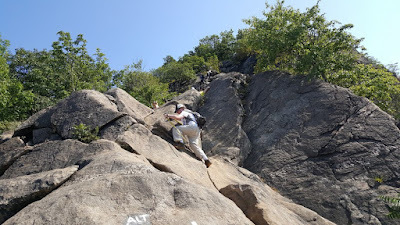 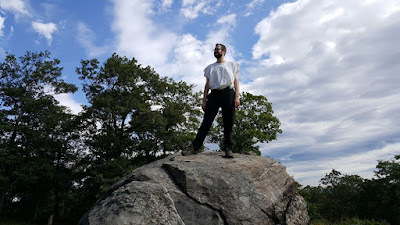 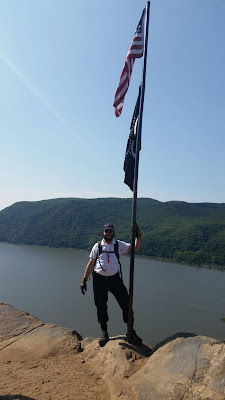 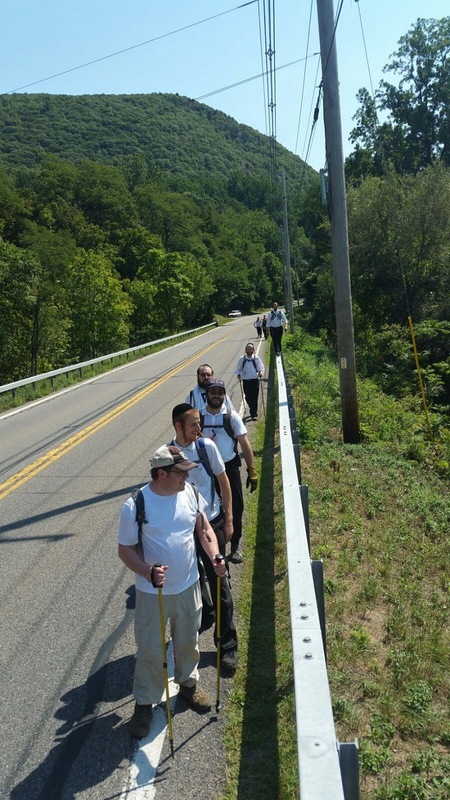 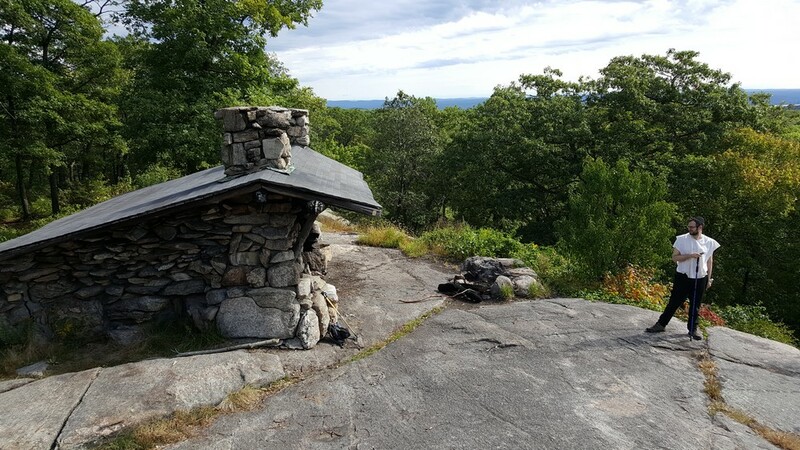 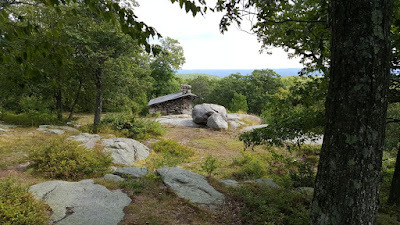 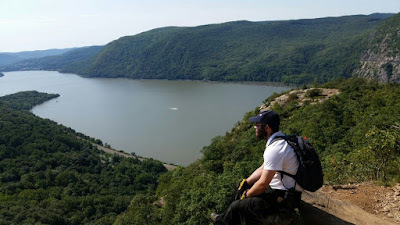 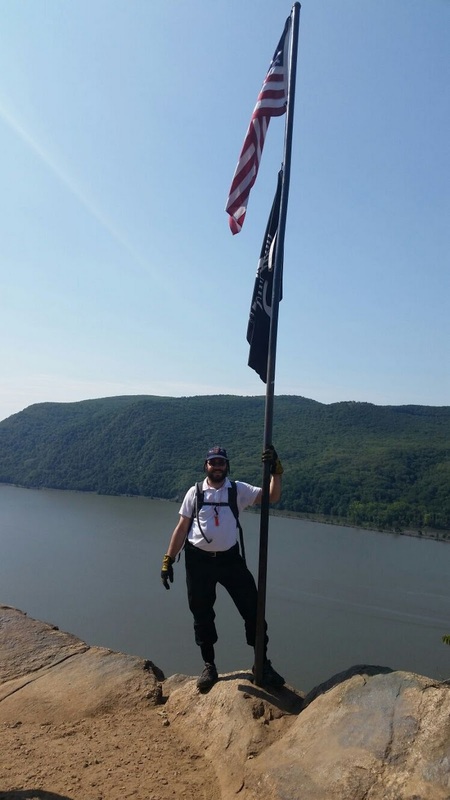 We continued along the Suffern-Bear Mountain southwest, and at the intersection of the Breakneck Trail, we took the unmarked path down to the AMC camp. 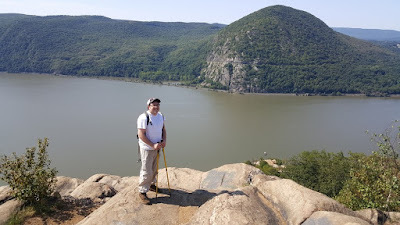 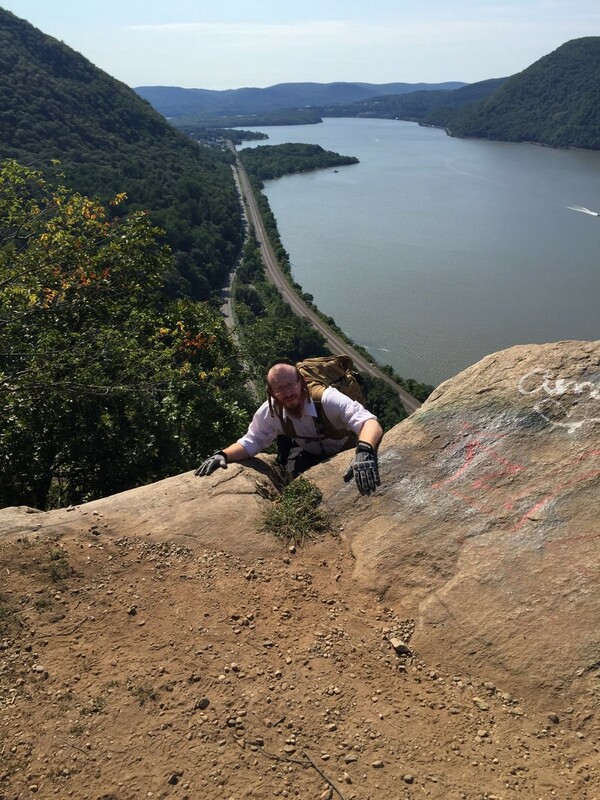 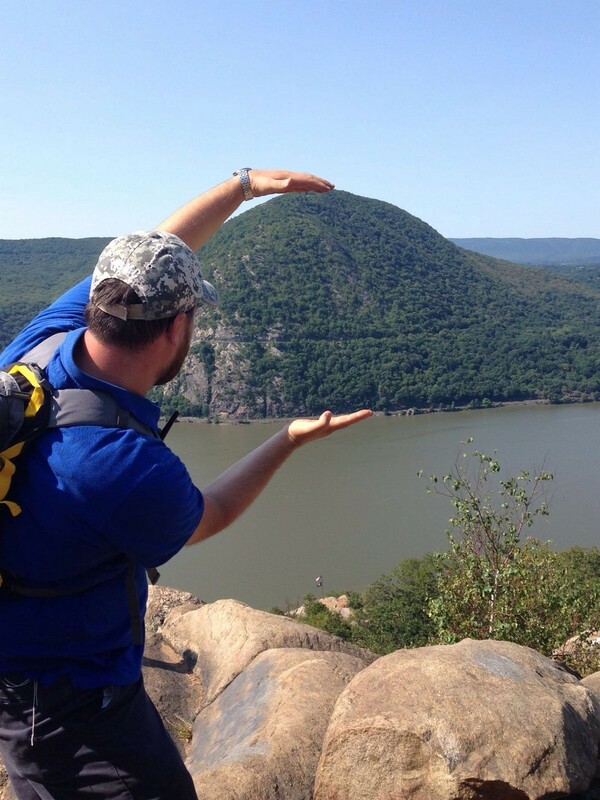 We then took the newly blazed, still unmarked Breakneck Ridge Trail around the entire lake. The previous time we were here, we bushwacked at the end of the lake to Pine Meadow Road to access the Breakneck Trail. This time we continued along the entire loop around the lake. 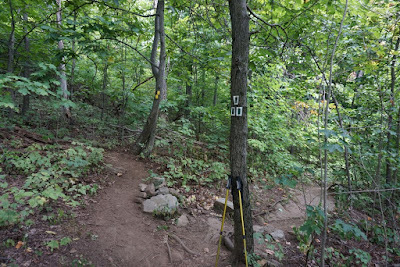 I am still disappointed that this trail does not officially connect to any of outside Harriman Trails or woods roads (with the exception of the unmarked Cranberry Mountain Trail connector) when they are so close by. Towards the end of the loop, back at the northern end of the lake, there is a large piece of bedrock jutting into the water, with excellent lake views. 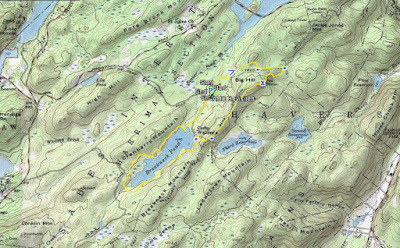 We then continued along the camp, exploring the area and gathering information about the area, and then headed back to our car. 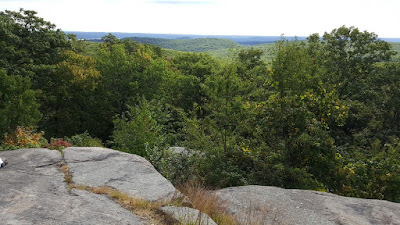 Please note: Picture are from my cell phone camera while my camera lens is getting repaired.